COLONY – On Tuesday evening, the Colony Town Council accepted the resignation of Mary Parker, chairwoman of the council’s finance committee, creating a second vacancy. Parker was not present but sent a written statement. The Town’s FY 2019 budget was still in planning at the time of her departure. While the council has had another vacancy for some time, this position was filled immediately, with the candidate attending the meeting. 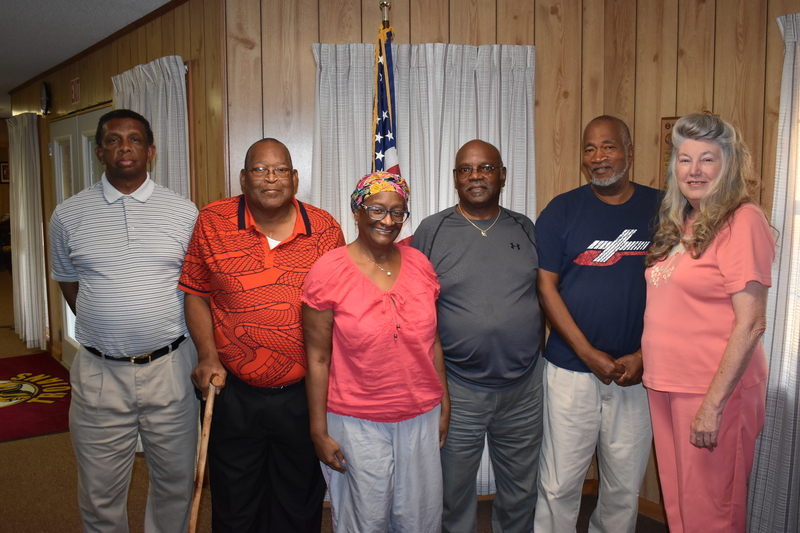 Melvin Hammond, a retired postal worker, bank clerk and Navy veteran, had presented himself in 2017 for the seat that the council eventually assigned to Ethel Alexander. This time around, members voted him in unanimously, and Town Clerk Patricia Ponder administered his oath on the spot. During the work session ahead of the meeting, the council discussed funding for the town’s storm shelter. A grant will cover 75 percent of the $82,000 project, but the Town had to pay $41,000 to the builder up front, and then apply for reimbursement, a fact which did not seem to have been clear at the beginning. The council is working on how to handle the temporary shortfall and upcoming second payment on the project. After the meeting, Ponder and Leeth, with Councilmen Samuel Ashford and Curtis Johnson, gave The Tribune a tour of the new Carpenter’s Cabinet food pantry at the Colony Educational Complex. It is well-outfitted with ample shelving and table space, two deep freezers and four refrigerators. The Town has already received its first shipment from the North Alabama Food Bank and will receive more before its first official distribution on the first Wednesday in November. Between now and then, the Town will hold training for volunteers at 9 a.m. on the first Saturday in October and will be taking client applications through that month. Colony Carpenter’s Cabinet has received 501(c)(3) nonprofit status, so monetary contributions are tax-deductible. The Colony Town Council meets on the second and fourth Tuesday evenings of each month at 6 p.m. at Colony Town Hall, with work session at 5. The public is invited to attend.